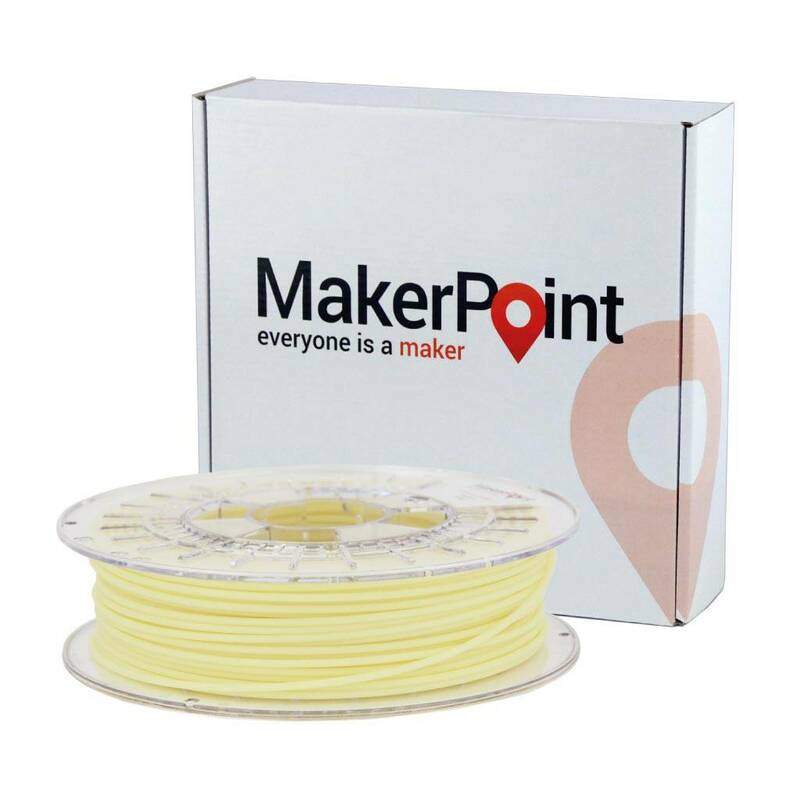 MakerPoint PVA-M filament is a, cold water soluble, supporting material for dual extruder 3D printing. The modification on the raw material results in a filament that is much more thermally stable than regular PVA. It also bonds well to PLA, ABS and PET-G, which enlarges the application field significantly. Polyvinyl alcohol-based filament is nontoxic and once dissolved in water it is fully biodegradable. Easy printing, low failures rates and easy removability makes this an excellent support material. 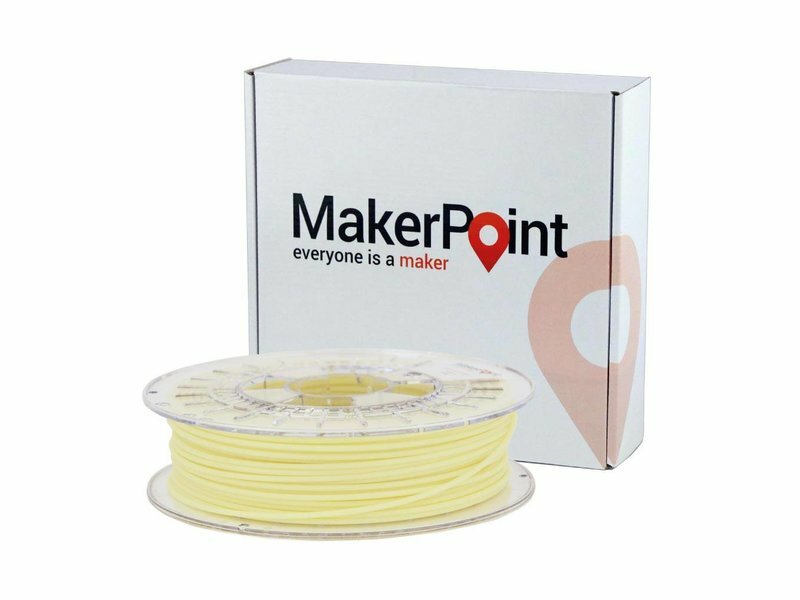 MakerPoint PVA-M is available in its natural color.